I recently shared the above picture of the vintage paint by numbers wall mural Will and I did years back on Instagram and got some questions about it. So I thought I would share our little video about the process again. The video isn't very long but definitely gives you an idea of what it took to do it. Wall Mural Time Lapse from Will Hyler on Vimeo. This is still one of my favorite projects ever! While it was extremely time consuming and at times a little scary standing on our little makeshift scaffolding we had a blast doing it. If you want to see more pictures of the process you can check out my original post. 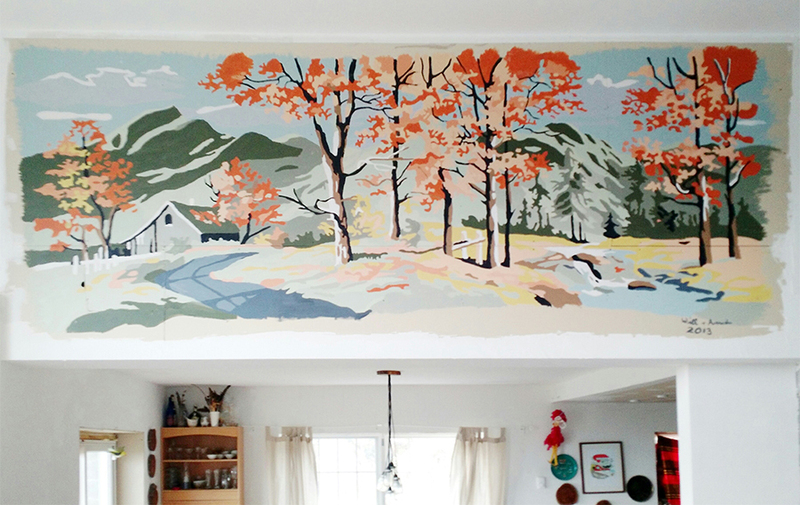 Would you guys ever paint a wall mural in your place?